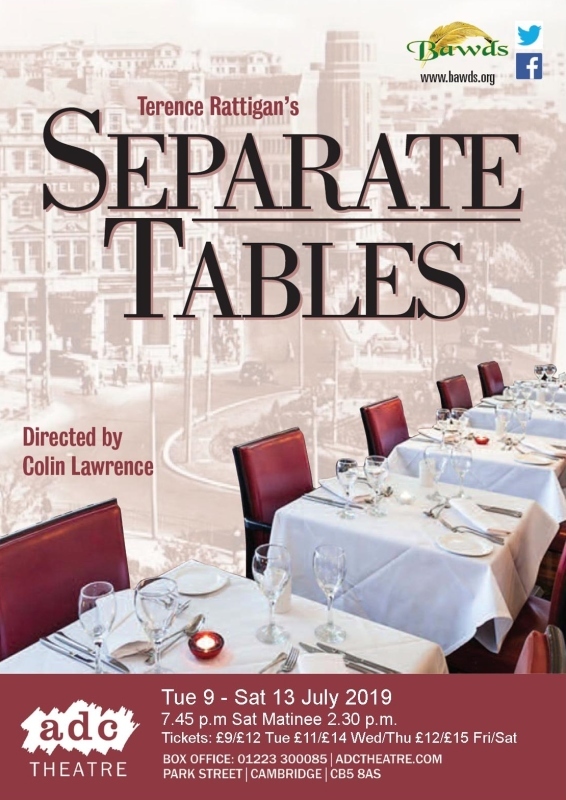 These two inter-linked plays take place in the Beauregard Private Hotel in Bournemouth in1954, where the residents have their own reasons for seeking the solace of a quiet life. Table by the Window, focuses on the troubled relationship between a disgraced Labour politician and his ex-wife. Table Number Seven, set eighteen months after the previous events, deals with the touching friendship between a repressed spinster and a kindly man posing as an upper-class retired army officer. The foibles and eccentricities of the residents and staff are highlighted as they struggle to come to terms with the changes in post-war British culture. Shock and social disgrace are cleverly interwoven with the decay, furtiveness and fraying of established manners. For the New York premiere of Table Number Seven, Rattigan wrote a series of alternative passages which would not have been permitted due to the Lord Chamberlain’s censorship rules at the time of the London production. These text variants were discovered among Rattigan’s papers a few years ago; our production incorporates these changes to reflect the playwright's original concept for the script. Robert McLintock is writing another blockbuster. But it's not going to plan. 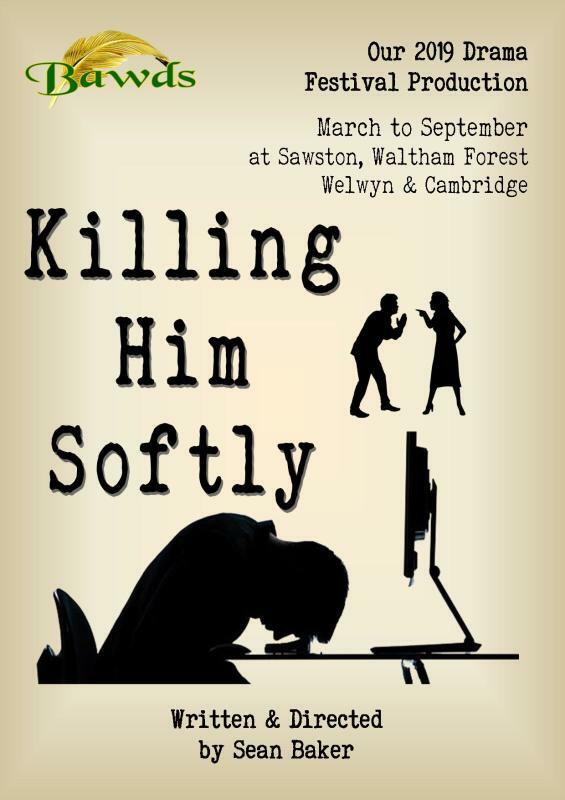 Killing Him Softly explores a writer's struggles in the post #metoo world. Sawston : 2nd Place, Best Supporting Performanced (Andy Dunne), Technical Award. Mole and his friend the River Rat decide to visit the famous Toad of Toad Hall, who is as charming a gentle-toad as you could wish to meet. However, when Toad gets enthusiastic about something -- well, nothing exceeds like excess, and his new enthusiasm is for motoring! 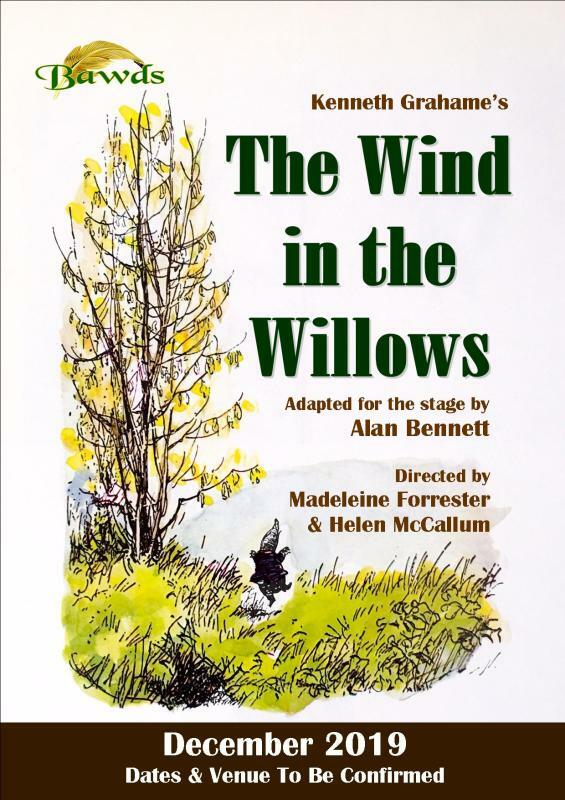 This magnificent adaptation of Kenneth Grahame's ebullient classic, combined with beautiful music, is the ideal family show for the festive season. 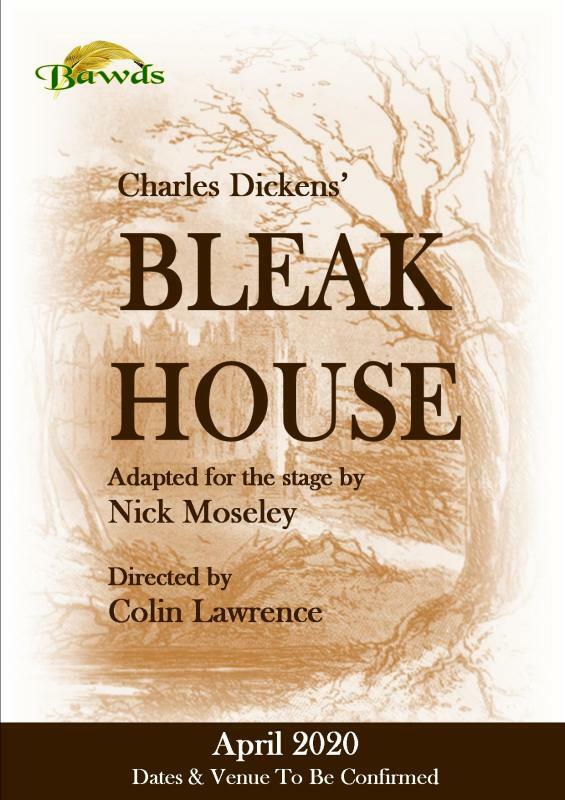 Bleak House is the story of the Jarndyce family, who wait in vain to inherit money from a disputed fortune in the settlement of the extremely long-running lawsuit of Jarndyce and Jarndyce. Ada Clare and Richard Carstone are caught up in the case which could eventually make them incredibly rich, if it can ever be brought to a conclusion. They go to live at Bleak House which is owned by the generous John Jarndyce, who is given custody, by the court, of Ada and Richard. Jarndyce is also the guardian of Esther Summerson, who also lives at Bleak House. The many sub-plots feature numerous other characters all of whose lives are tied in, in some way or other to the outcome of the case. Characters like, Sir Leicester Deadlock and his wife, Lady Dedlock who nurses a dark secret from her husband; a secret which the merciless lawyer, Tulkinghorn tries desperately to uncover. Into the mix are thrown a lovelorn solicitor’s clerk, Guppy, a grasping moneylender, Smallweed, a conniving maidservant, Hortense, a rag and bottle dealer, Krook, a law stationer and his nagging wife, the Snagsbys, a consumptive crossing sweeper Jo, and a police detective, Bucket. The story blends together a number of different genres: detective fiction, romance, melodrama and satire and illustrates what Dickens considered to be the one great principle of the English law ... to make business for itself.